This page covers a number of tips and tricks on how to print 3D models. We also recommend some sites where you can get ready to print 3D designs. If you want to learn 3D printing, the job is quite challenging, but if you are interested to learn the craft, you will eventually understand the procedure. The difficult part is actually setting up your printer and adjusting it accordingly to deliver the results you desire because the machine does the majority of the job. So, for those who wish to learn the craft, here is a 3d printing for beginners tutorial to help the novice get started with 3D printing. 2 How to Use a 3D Printer? 3 How to Print a 3D Printer? For the 3D model, you can design your own 3D object or use the existing models available online. It’s more fun if you do your own design. Doing your own 3D model will be easy if you are already familiar with the 3D printing software for modeling. Otherwise, designing your own 3D model alone might take time as you have to get yourself familiar with the tool. For this reason, I suggest that you use the readily available 3D models online, for the sole purpose of getting your first 3D printed object done. The first 3D printers only use plastic parts. But, the new models of the machine can now handle a growing variety of materials. The most popular materials are plastic filaments like ABS and PLA, but there are more materials to choose from. If you want a tough and flexible material, plastics like ABS or nylon works great especially for functional parts like gears and integral hinges. If you want to produce 3D objects that can handle the heat, the best material would be ceramics. Ceramics can withstand a temperature of 2,500 degrees Fahrenheit. Meanwhile, if you want to create a detailed model, then resin would be a smart choice. Resin’s smooth surface and ability to show details make it perfect for prototypes and models. If you are looking for the real thing, there are already plastic filament embedded with wood shavings or chalk that produces a final product that resembles a wooden or concrete product. For the 3D printer, you can borrow your friend’s machine or purchase a low-cost machine. You do not need an expensive machine, an entry-level low-cost 3D printer will be a good start. This is an overview on how to use your 3D printer for the first time. Visit a site and download a 3D printer model. For instance, you can visit Thingiverse and select a 3D object that you want to 3D print. You will get a zip folder. Extract it. Download a 3D printing software. For this example, you can download Cura Software, this is free. You will use this software to set your printing parameters and slice your model. Once Cura is ready, open it and click on the machine. Then, click add new machine. Click next. Select Other and choose your 3D printer. Cura is now ready to be used. Please remember that you might need to tweak the setting if your printer is not in the list. You can also use another program like Craftware, KISSlicer, MatterControl or Astroprint to get the job done. Save your file. Click on toolpath to SD to save the file to your USB. The process will convert the file into .gcode. 3d print your design. Insert the SD card to your printer. Turn on the printer and adjust the setting of your machine. Once the set up is done, the 3D printer will start printing your 3D model. If you wish to learn more, you can find more 3D printer videos online. How to Print a 3D Printer? I understand that you have reached this part because you are interested in producing your own 3D printer. The good news is – that’s possible. However, do not expect a ready-to-use 3D printing machine because the process requires you to assemble the output. Dr. Adrian Bowyer invented the first self-replicating 3D printer through the RepRap project. His first functional machine called the RepRap “Darwin” with 50% self-replicated parts was unveiled in 2008. The 3D printed 3D printers are made using the FDM (Fused Deposition Modeling) printing technology with plastic materials. 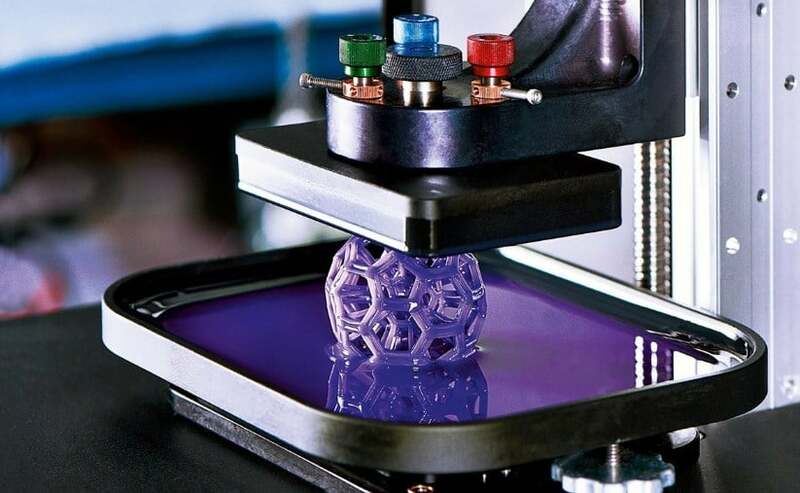 They are desktop 3D printers and has limited applications compared to industrial machines. These printers cannot totally print themselves, they can only print some parts of themselves just like they could totally build other 3D printed objects. You then need to assemble the part yourself and add the components that can’t be 3D printed like the electronics or metal parts. RepRap project is open source and you can find 3D models available online. In fact, the Prusa i3 is one of its improved versions. Why is 3D printer iterations successful? This type of printers is low-cost. In addition, it’s easy to construct and modify. In fact, this is a must-have for hobbyists. It’s also popular in the education field. We keep our tips and tricks simplified so it’s easy to understand. We hope that the aforementioned hacks will help you create your first 3D printed objects with ease. Please keep in mind that you might need to make some tweaks in the settings we provided above to make it work for your 3D printer. Also, you might need to make additional changes if you are using another 3D printing software. But, overall, this is how to 3d print something. If you need to learn more about 3D printers and 3D printing, feel free to check our homepage. Previous articleHow Much Does A 3D Printer Cost? Is The Price Worth It?